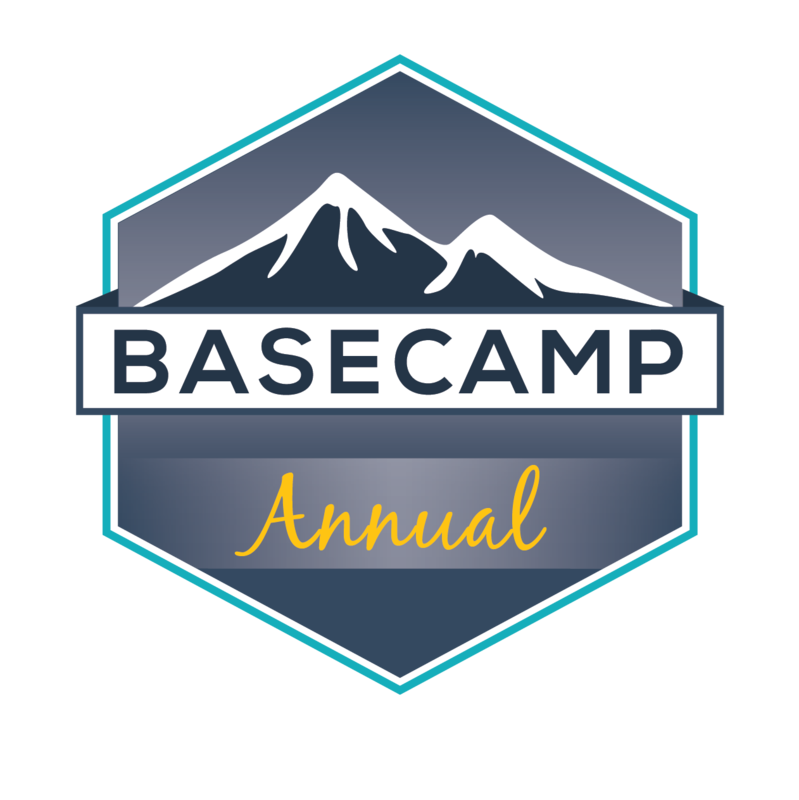 Our On-Campus Course includes Basecamp - Standard access! A $55 value! HOW SUCCESSFUL ARE YOUR COURSES IN HELPING STUDENTS TO PASS THE NATIONAL PHYSICAL THERAPIST ASSISTANT EXAMINATION (NPTE-PTA)? 93.7% of first time test takers from accredited physical therapist assistant programs responding to our most recent electronic survey indicated that they passed the NPTE-PTA on their first attempt. Our surveys consistently demonstrate that students attending the course have a greater probability of passing the NPTE-PTA on their first attempt and tend to score higher than the mean scale score reported by the Federation of State Boards of Physical Therapy. In addition, 95% of the academic programs hosting our review course have made the course an annual offering. This is perhaps the strongest testament to the success of our courses. 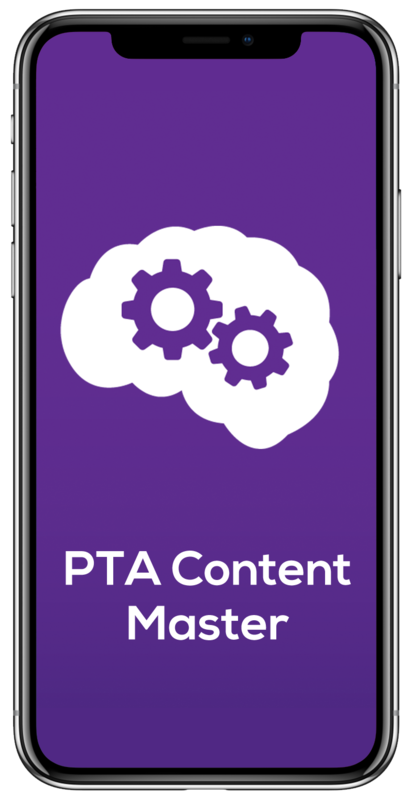 HOW ARE YOUR COURSES DIFFERENT THAN OTHER REVIEW COURSES OFFERED FOR THE NPTE-PTA? The course provides students with a comprehensive view of how to prepare for the examination. 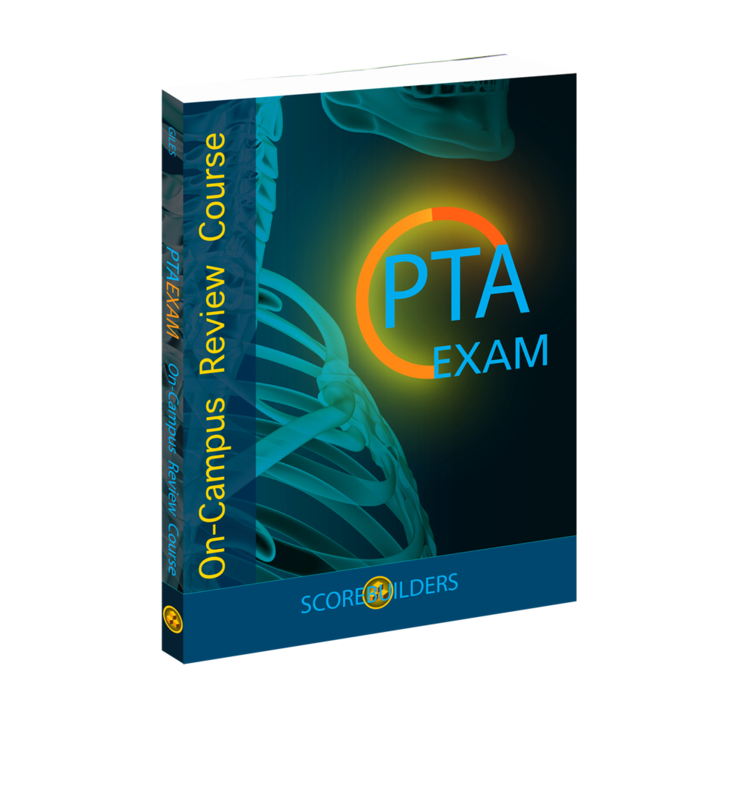 In addition to identifying strengths and weaknesses by answering sample examination questions, the course provides students with a comprehensive study plan for the NPTE-PTA. The powerful one-two combination allows students to maximize the efficiency and effectiveness of their study sessions and translates into higher examination scores. Please contact our office 1-866-PTEXAMS for additional information on our course. WHAT ARE THE QUALIFICATIONS OF YOUR COURSE INSTRUCTORS? We have 37 outstanding course instructors who have impressive qualifications and credentials. Profiles for each of our instructors are available on our web site www.scorebuilders.com/course_instructors.html. The instructors represent a broad mix of seasoned academic faculty and expert clinicians. They are hand-selected, experienced educators who are superior teachers and their teaching evaluations support this belief. HOW MANY COURSES DOES SCOREBUILDERS OFFER IN A YEAR? We offer more On-Campus Review Courses and sell more review products than any other company. In 2017 alone, we offered 240 two day courses. Scorebuilders has experienced 27 years of consecutive growth and is the recognized leader in physical therapy licensing preparation. WHY CAN'T I FIND A LISTING OF YOUR COURSES ON YOUR WEB SITE? We do not post a listing of our review courses on our web site. We offer courses specifically for academic programs electing to host a course. The course can be a closed engagement, exclusively for students of the host program, or can be an open engagement where the host allows students from other academic programs to attend. In cases where the course is open to external students, the host determines the cost and communicates the relevant information directly to interested students. Students interested in attending a course can call our office and inquire if there is an open course in their desired time frame and in their geographic region. HOW MUCH DOES IT COST TO HOST A PHYSICAL THERAPIST ASSISTANT REVIEW COURSE? Our unique pricing structure does not fluctuate based on the number of course participants and instead relies on a fixed fee of $3,500 for our two-day course. Our pricing structure makes the most innovative and comprehensive review course attainable for groups of various sizes. Our goal has always been to make the course affordable for students and at the same time deliver a review course that stands head and shoulders above the competition. Our outcomes and market share demonstrate our commitment to excellence. WHEN IS PAYMENT REQUIRED FOR THE COURSE? Once course dates have been established, our office will issue an invoice for the course deposit of $500. The deposit can be paid by check, purchase order or credit card. The remaining balance for the course is due prior to or during the actual course. Academic programs paying through a purchase order can elect to pay for the remaining balance within 30 days of the actual course date. IS THE COURSE ORGANIZED BY THE ACADEMIC PROGRAM OR THE PHYSICAL THERAPIST ASSISTANT CLASS? The course can be organized by either the academic program or the physical therapist assistant class. HOW DO I DETERMINE WHAT DATES ARE AVAILABLE TO HOST A REVIEW COURSE AT MY ACADEMIC PROGRAM? Our courses are offered on weekdays, weekends or even Friday/Saturday. We ask that academic programs provide a first and second choice for scheduling the course. Once course dates have been established, our office will issue an invoice for the course deposit of $500. To schedule an On-Campus Course please contact Scorebuilders toll free at (866)PTEXAMS or contact Scott Giles at sgiles@scorebuilders.com. WHAT IS THE SCHEDULE FOR THE TWO-DAY COURSE? The course requires 14 contact hours. Students are given a one hour lunch break and a brief morning and afternoon break. The typical daily schedule is 8:30-4:30, however, on occasion we stagger the course by going slightly longer on day one (8:00 a.m. - 5:00 p.m.) and shorter on day two (8:00 a.m. - 3:00 p.m.). WHAT RESOURCES ARE INCLUDED FOR REVIEW COURSE PARTICIPANTS? 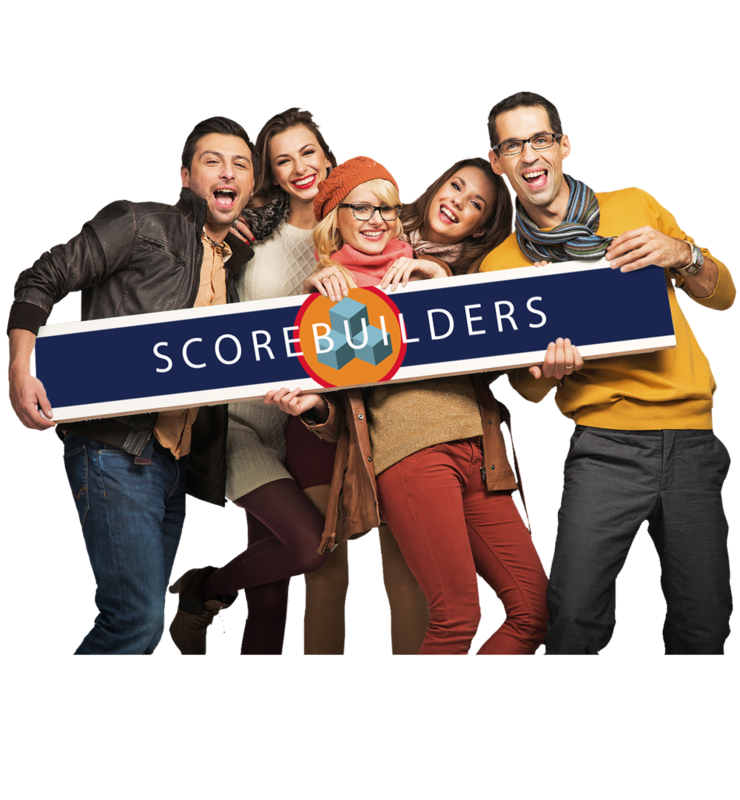 CAN REVIEW COURSE PARTICIPANTS ORDER SCOREBUILDERS' REVIEW BOOK AND/OR FLASH CARDS AT A DISCOUNT? 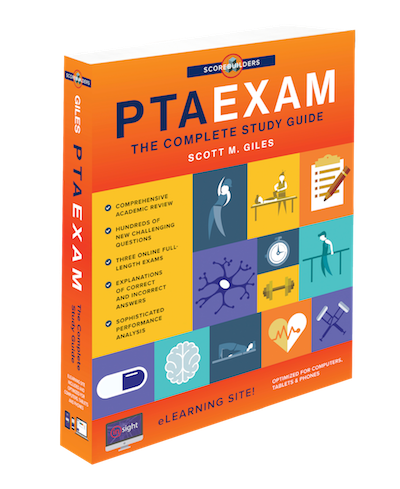 Students participating in the review course are not required to purchase additional products, however, they are entitled to a 25% discount on our best selling review book PTAEXAM: The Complete Study Guide and/or our flash cards Physical Therapist Assistant Content Master. The resources can be purchased prior to, during or after the review course. Students can purchase the review book or flash cards using the review course discount as soon as the course is officially scheduled. Our fixed fee pricing structure combined with the 25% discount on the review book and flash cards makes the course an unquestionable value. I recently attended your two-day board review workshop. I was very impressed with not only the amount of information, but the style in which it was presented. The instructor was so entertaining and knowledgeable it was a pleasure to be a part of your workshop. Our class had a 100% first time passing rate on the licensing exam. All of the students said that your review course was extremely helpful and are now glad it was mandatory. I have consistently heard from former students that your company's sample examination questions are the most consistent with the content and difficulty level of the actual examination. Thank you! Everyone I talked to really enjoyed the course and instructor. Her clear presentation style and sense of humor kept the students actively engaged throughout the two days while still getting the point across that passing this test takes serious work. Continued great news from our most recent graduating class. 39 have passed the first time, one has failed, and one has yet to take the exam. Thank you very much!! Our hard working students have given us a 100% pass rate on the boards for the last two years, with much of the credit given to Dr. Giles' well organized book. It is their "Bible" when they are on their clinical rotations. Thank you again! Your review course and instructor did a wonderful job of helping our students choose between good, better, and best options. Many of our students incorrectly answer examination questions not necessarily because of lack of academic content knowledge, but rather inadequate test taking skills. I just wanted to let you know that I sat for my 3rd attempt at the NPTE last Tuesday and just found out that I PASSED! I went from a 560 to a 617 and I want to say it's primarily thanks to you and your course! Why didn't I take this the first time around? I failed the exam twice before attending your course. After missing the passing score by less than 10 points each time, I was VERY discouraged and doubtful anything could help me. After your course I made a study calendar and followed it. With your help from the class I passed the exam by 40 points! Thank you so much for the help and especially the CONFIDENCE you helped me find in myself. Money can't buy the feeling when you get that letter that says... "You PASSED!" Thanks for teaching the course. I found it to be beneficial in regards to knowing when I was ready to take the exam. It helped to de-mystify the imposing NPTE. I took the exam early and found out today that I passed! Thank you for helping me prepare. I think for a lot of students this class and exposure to realistic exam questions is a wake-up call that they need and it seems to be much better received coming from your instructors vs. the faculty that our students know so well. Because of your review course and great book, I have successfully passed the board exam on the first try. Thank you so very much. I will definitely recommend both your review course and books to anyone getting ready to take the test. I failed the exam twice. After taking your review course, I passed! Thank you for such a rewarding course! I would recommend it to anyone. The study plan works! The review course helped give me a sense of where to begin studying and it definitely should be offered to next year's class. I can't imagine trying to figure this all out on my own, I actually felt more relieved than overwhelmed at the end of class. I really feel the course offered me the most worthwhile information we could have received. You provided us with great study strategies and real information about what the exam is going to be like. You helped jump start our studying process. I am so glad I took this class. It helped me to understand what is involved with preparing for the exam. The instructor was very approachable and helped reduce some of my anxiety and built my confidence. Unknowns are scary and this exam was a HUGE unknown before this class! Much thanks to the instructor for being an awesome resource and to Scorebuilders for making the exam 100% less scary. I have a lot of work to do, but feel that I now have a plan in place. Thanks! This review course was extremely helpful. A definite for next year's class. I really appreciated the "real world scenarios" and humor that the instructor brought to the process- it took the edge off the stress. Our On-Campus Courses provide students with the most personal, efficient, and effective method to maximize performance on the National Physical Therapist Assistant Examination. Scorebuilders is the largest provider of physical therapist and physical therapist assistant review courses in the United States. All students attending the review course receive a 230 page course manual that is used throughout the two-day course. The manual is filled with a variety of resources designed to enhance student performance on the National Physical Therapist Assistant Examination. Our goal is to help students learn the information and strategies necessary to pass the exam. We have 35 course instructors who have impressive qualifications and credentials. The instructors represent a broad mix of seasoned academic faculty and expert clinicians. They are hand selected, experienced educators who are superior teachers and their teaching evaluations support this belief. Hope is a good thing, however, it cannot serve as your primary strategy to pass the examination. Let our On-Campus Course assist you to develop an individualized study plan based on your preferred learning style and the results of valuable assessment data gathered throughout the two-day course. The review course assists students to become more proficient in differentiating between good, better, and best options when answering challenging multiple-choice questions. This essential skill results in higher examination scores. Our course assists you to focus on the most relevant academic content based on the current examination blueprint. Increase the efficiency of your study sessions and watch your sample examination scores rise. Can you imagine if three or more of your classmates could take the examination together? Learn how to utilize the collective brilliance of a small group of physical therapist assistants using active learning tools designed to increase your flexibility with essential core academic content. We believe that a stimulating learning environment increases the rate of student learning. Discussion, spirited debate, and a myriad of active learning activities ensure that students are engaged throughout the two-day course. Our goal is to motivate and empower students to reach their optimal level of performance on the examination. Innovation, value, and outcomes are just three of the many reasons why our review courses consistently produce superior results. We can help your class pass the National Physical Therapist Assistant Examination on the first attempt! Organize A Two-Day On-Campus Review Course! Our review course provides students with the most personal, effective and efficient method to maximize performance on the National Physical Therapy Examination - PTA. Our course introduces students to challenging multiple-choice questions, recent examination trends, a myriad of study tools, and resources designed to increase mastery of essential examination content. The course emphasizes active learning activities under the direction of experienced course instructors. A formal course manual is included as part of the review course. Our pricing structure does not fluctuate based on the number of participants and instead relies on a fixed fee schedule. Refer to our Review Course Pricing to determine just how affordable our course can be. Take the next step toward achieving your career goals; organize a review course today! Are you unable to attend our On-Campus Review Course? 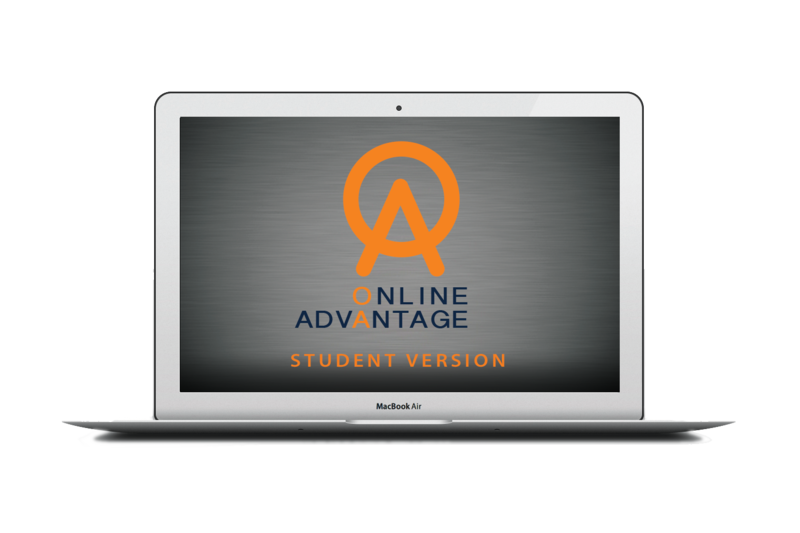 No worries, our online review course ACE - A Competitive Edge offers all of the same benefits as our On-Campus Review Course, plus 120 days of Basecamp access. Check it out! It's Easy To Host a Two Day On-Campus Review Course! Would your school like to host a review course on campus that is both affordable and effective? Our two-day interactive courses provide students with the opportunity to enhance their performance on the National Physical Therapy Examination - PTA. Our review courses give students a chance to assess their current strengths and weaknesses by answering sample examination questions and assist them to develop a comprehensive study plan for the National Physical Therapy Examination - PTA. This powerful one-two combination allows students to maximize the efficiency and effectiveness of their study sessions and translates into higher examination scores. 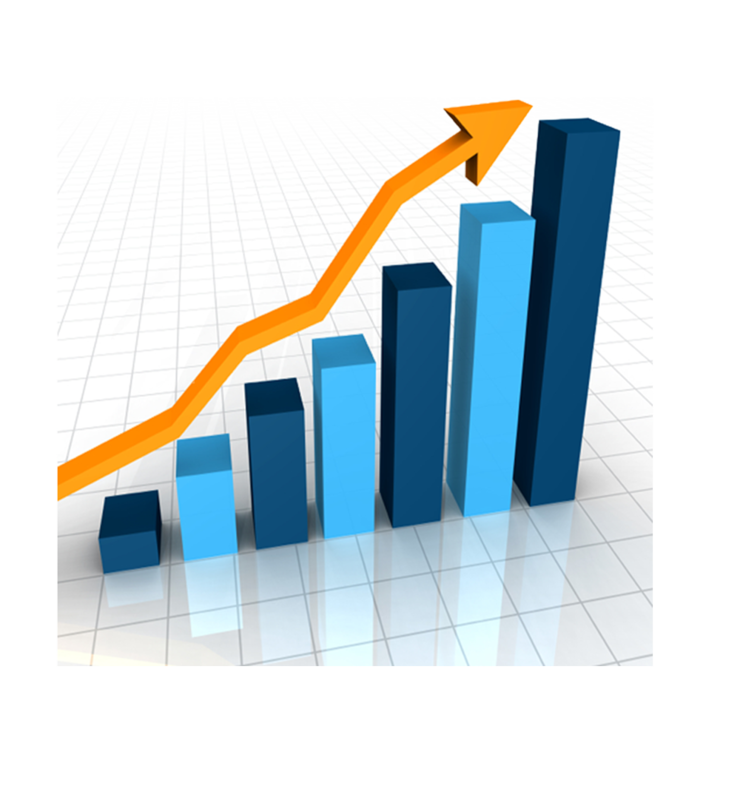 Scorebuilders offered 240 review courses at academic institutions throughout the United States in 2017 and has experienced 27 consecutive years of growth. Our steady growth and large list of repeat customers, including some of the most respected academic programs in the country, is a testimony to the success of our courses and explains why we are the largest provider of physical therapist and physical therapist assistant review courses in the United States. Identify current strengths and weaknesses by answering challenging multiple-choice questions. Use improved decision-making skills when answering multiple-choice questions with good, better, and best options. Design and implement a comprehensive study plan based on the latest information available from the Federation of State Boards of Physical Therapy. Examine the intricacies of computer-based testing. Utilize innovative individual and group study tools to enhance the efficiency of study sessions and maximize applied learning opportunities.  Develop strategies to maximize the effectiveness of study sessions. Utilize quantitative and qualitative measures to determine readiness to take the National Physical Therapy Examination - PTA. Demonstrate increased motivation and confidence in their ability to pass the examination on the first attempt. Don't miss out on this unique opportunity to get a head start on your preparation for the National Physical Therapy Examination - PTA! If you are interested in hosting a review course for your classmates or students, please call us at 1-207-885-0304. Information related to examination construction, development, and scoring is discussed. Current examination passing rates including the first time passing rate and the ultimate pass rate are identified. Students are exposed to a formal process for answering multiple-choice questions that can significantly reduce test taking mistakes. A sample exercise using clinically-oriented questions provides students with the opportunity to assess their own tendencies when examining challenging multiple-choice questions. Specific test strategies pertaining to computer-based testing are discussed. Students learn how to identify and differentiate between various types of examination mistakes (academic, decision making, test taking). Students are oriented to a performance analysis grid that is used to track examination mistakes throughout the remainder of the course. A sample exercise provides students with an opportunity to analyze clinically-oriented questions and utilize the performance analysis grid. Specific remedial strategies are discussed to address each of the various categories of examination mistakes. Students are oriented to a sample study plan that can be used to prepare for the National Physical Therapy Examination - PTA. The study plan consists of four major components: Academic Review, Clinical Application Templates, Content Outline, Sample Examinations. Detailed information on each of the components is provided in order to assist students to develop a personalized and efficient study plan. Students learn to assess their preparedness for the examination through sample examinations. 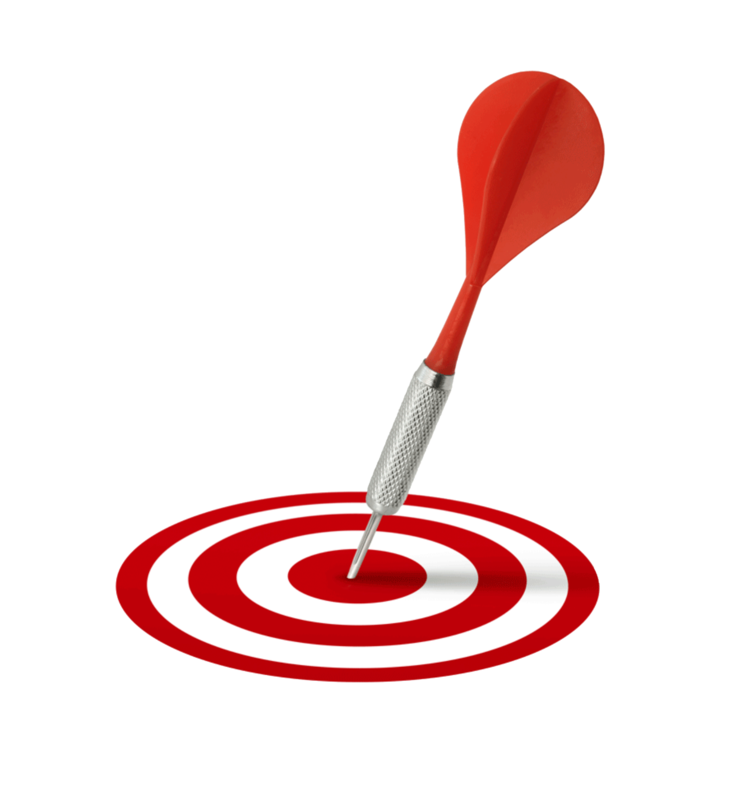 Specific scoring targets are established using several commonly utilized examination resources. Students gain insight on how to refine their academic knowledge, decision making, and test taking mistakes using sample examination questions that are similar in design and format to actual examination questions. Students are presented with several formal methods to review relevant academic content using active and passive learning strategies. A combination of active and passive strategies facilitates student mastery and allows students to gain greater breadth and depth in relevant systems and non-systems areas. Clinical application templates allow students to explore the patient/client management of a wide variety of medical conditions commonly encountered on the examination. A tiered system (i.e., Gold, Silver, Bronze) helps students prioritize the relative importance of various clinical conditions and increases the return on investment from dedicated study time. By utilizing the clinical application templates students broaden their experience base and as a result are better prepared to answer applied examination questions. Students are introduced to the content outline of the examination by taking a sample exercise that consists of representative sample multiple choice questions from each of the five content outline categories. The content outline provides a detailed analysis of the content areas of the National Physical Therapist Assistant Examination. A thorough understanding of each of the content areas and the corresponding categories and subcategories streamline a candidate's preparation. Students are oriented to an active study tool using the final work activities of the content outline. The study tool serves as a valuable late review and assists students to focus on essential examination information prior to the actual examination. Students are taught how to integrate each of the components of the comprehensive study plan (i.e., Academic Review, Clinical Application Templates, Content Outline, Sample Examinations). Several sample study schedules are presented which provide students with the necessary structure to make consistent, meaningful progress in scheduled study sessions. Students learn to use self-assessment as a mechanism to make necessary changes to their study plan based on interpreting their performance on sample examinations. By customizing the study plan in this manner students are able to accelerate their rate of progress and increase their scores on sample examinations. Students are required to answer sample examination questions representing the full scope of physical therapist assistant practice in order to be successful on the actual examination. A sample exercise provides students with the opportunity to review relevant academic content and to improve their ability to select good, better, and best options on challenging sample examination questions in selected system and non-system areas. By analyzing performance in each of the areas students are able to assess strengths and weaknesses and build on many of the concepts presented earlier in the course. Students have the opportunity to focus on answering sample examination questions in each of the four system areas: Musculoskeletal; Neuromuscular and Nervous; Cardiovascular/Pulmonary and Lymphatic; and Other Systems (i.e., Integumentary, Metabolic and Endocrine, Genitourinary, Gastrointestinal, System Interactions). Students have the opportunity to focus on answering sample examination questions in each of the two non-system areas: Equipment and Devices, Therapeutic Modalities; and Safety and Protection, Professional Responsibilities, Research. Students are exposed to actual emails from students questioning their readiness to take the examination. By analyzing the information quantitatively and qualitatively, students gain a better appreciation of how to determine their individual readiness for the examination. Meet Our Team of Course Instructors! Dr. Scott Giles headlines our team of gifted course instructors. 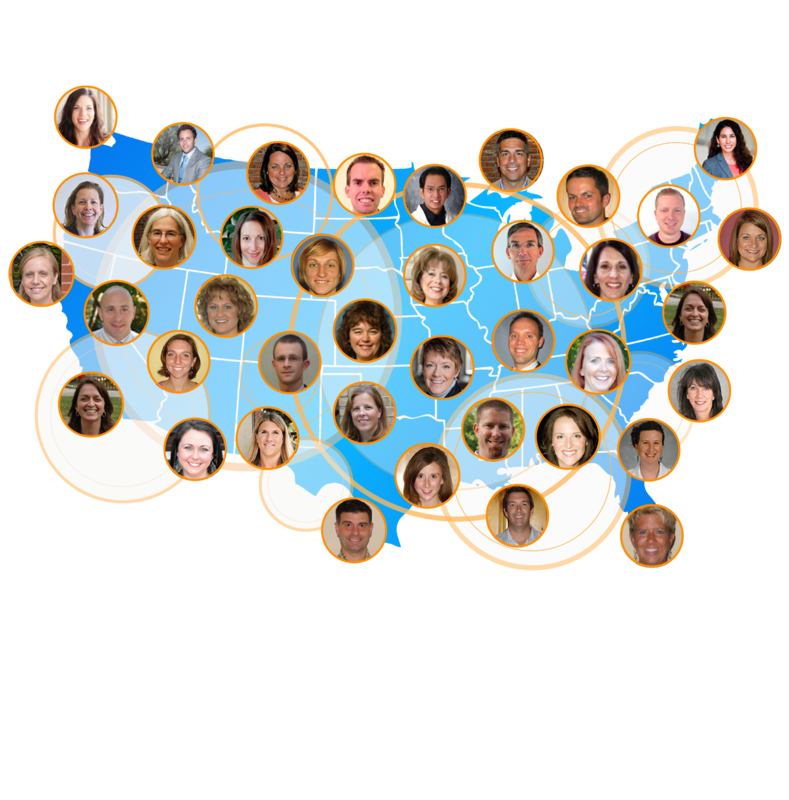 Click the Meet Our Instructors button to view bios of all of our course instructors. Dr. Giles is the founder and President of Scorebuilders. He has authored numerous best selling review books and has presented on licensure preparation throughout the United States and internationally for nearly three decades. Dr. Giles has taught over 500 review courses and assisted over 10,000 PT and PTA students to pass the examination. Find out how affordable the most popular review course can be! Complete the form and receive all of the details associated with hosting a course on your campus! Please send me more info on hosting a review course!